Entrepreneurship today really needs to be more grounded in practicality. Really implore you all to either start saving cash or invest your cash back into your business — the economy isn’t going to be good forever, and when things get slow, people aren’t going to talk about things like “passive income” the same way they do today. 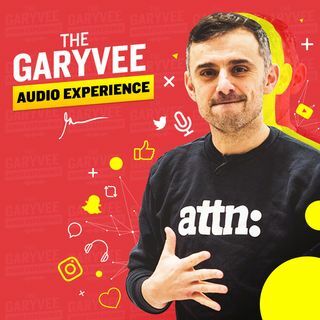 0:00 - I worked 18 hours a day for 15 years 5:03 - Passive income needs practicality 15:55 - Changing your perspective on life 22:05 - How to prepare for the coming ... See More economic collapse 32:33 - How to escape the rat race Excited for you guys to listen to this podcast - tweet me what you thought @GaryVee!